INCLUDES 3 EXPANSION GUIDES AND 4+ HOURS OF VIDEO TRAINING! And it isn’t something they like to admit. They feel lost in a desert. Almost like they were born at the wrong time in history. Whenever they step outside of their comfort zone to expand their life, they face fear, lower self esteem and diminishing confidence. 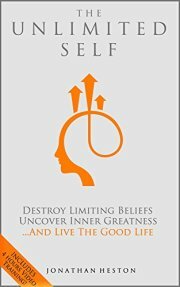 In other words – they face their own limiting beliefs. They want to make money doing something meaningful with their lives…but they keep showing up at a job or have a business that leeches their life and energy. They want better intimacy…but they don’t know the skillsets and mindsets to keep the fire alive with their lover. They want to be a great parent…but when they spend time with their kids, they are only half engaged. They want to feel strong, alive and vibrant – but they feel so overwhelmed and busy with all the other areas of life, they continually let their health slip. They want to follow their passion…but they don’t have a freaking clue what they are even passionate about. They don’t even know why they are here. Because schools and our parents didn’t know how to show us the mindsets and skillsets to destroy the limiting beliefs and internal self sabatoge patterns that all of us face when we decide to live anything more than an average life. You can have your dream…but if your internal beliefs don’t believe it’s possible. It isn’t. Lots of people still debate what success means. Success is when someone is willing to not just dream about becoming great…but take responsibility for making it happen. Success is doing the INNER work that is necessary to move past the hidden “blocks” that keep you from creating your dreams. So the question is simply this. Are you ready to seize your greatness and not let go? Are you are ready for the mindsets and skillets that allow you to destroy ANY limiting belief that is holding you back from your greatness? THE UNLIMITED LIFE is for you.